Is implementing a new technology like self-ordering kiosks the right decision for food businesses? Many restaurants took several benefits of utilising self-ordering kiosks. These kiosks helped them meet the needs such as enabling the customers to order their own food. Thus, it also allows the restaurant personnel to serve the foods quickly with no long queues. Self-ordering kiosks are built with an industrial-grade computing system. It bears the most compatible system processors, ensuring that kiosk applications can be installed and used. One of the most recommended computing technologies is the 12.1” rugged industrial computer. This device is enclosed in a stainless construction frame so that internal parts of the system is protected. This includes water intrusion, dust ingress, dirt, and fallen debris. Expect that the S12 industrial PCs can perform its functions well even with the presence of these potential challenges. Can this device provide better functionality to food businesses? Read on through this blog and learn why these industrial panel PCs are ideal computing solutions for self-ordering kiosks. Imagine the world where food personnel have to focus more on food quality and customer service. Then, customers place and pay orders through self-ordering kiosks. Using such type of technological advancement is already a popular trend in the UK. It gives the food industry an advantage of improving its customer service and sustaining food quality standards. But, behind those kiosks are the tough, reliable, ruggedised industrial computers. This device comes with a built-in Intel® BayTrail-M/D 2.0GHz Quad Core processor motherboard. It is designed to perform industrial applications including kiosks applications. Thus, the S12 panel computing system can also be integrated with a food business’ point of sale system (POS). Now, can this device can also withstand frequent use of the general public? Let us make a quick rundown to some of the best features of 12.1” industrial computer panels. How does an industrial computing system work for kiosks? Basically, this device must have the specifications needed for the self-ordering kiosk to operate. Here are the best feats of 12.1” rugged industrial computers. Kiosks utilise a wide range of complex applications including the POS. These types of applications require a reliable computing system. This is to prevent access to the crucial areas of the system and network. But, an S12 panel PC can have a Windows embedded thin client software. It has the capability to provide a flexibility to support future applications without the overhead and security exposure. Installing device drivers can take only a few minutes as well [10zig.com]. For food businesses with dim lighting features, this device can also have a built-in 1024 x 768 capacitive screen displays. It has the capability to adjust its display settings to provide clarity and better image views to users. Its capacitive screen feature is also known to be scratch-, dust- and water-resistant. So, expect that the 12.1” rugged panel PCs can be utilised efficiently. Some food businesses have issues on organising its workspace. All equipment that is essential for the operation should be installed including a POS terminal. But, the S12 computing device is also designed to be a VESA-compliant. Therefore, it can be embedded as self-ordering kiosks that can be mounted on walls, cased or bezel mounting options. Self-ordering kiosks are designed not to replace food personnel. Instead, it helps them the ability to focus more on the things that are impossible to automate such as the quality of food preparation and presentation. 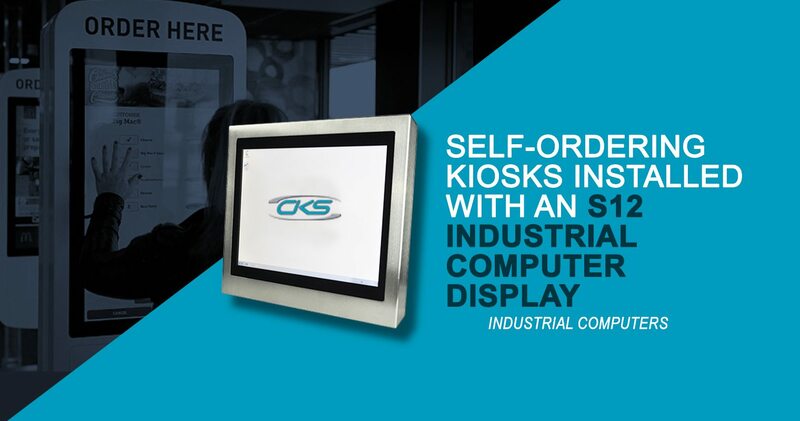 But, as a kiosk manufacturer, self-ordering kiosks can only be as effective if it is built with a reliable computing technology like S12 industrial PCs. So, start building self-ordering kiosks and talk to an industrial panel PC manufacturer today.